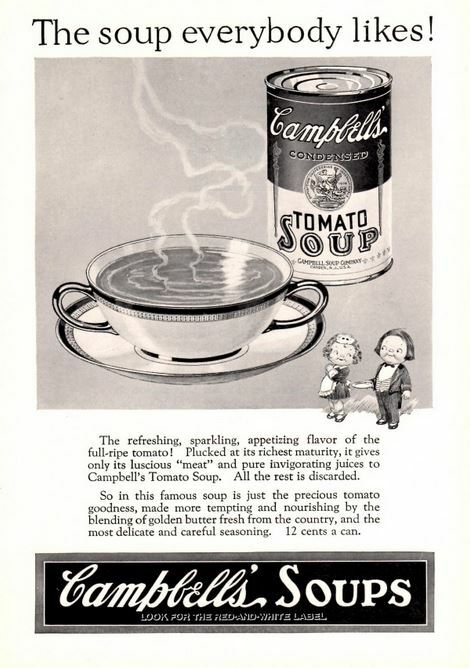 The first can of Campbell’s ready-to-eat soup was introduced in 1895. 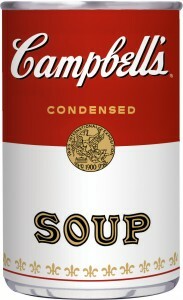 Two years later a company executive convinced Campbell to use the Cornell red and white uniform colors on the can, creating the known Campbell’s design we see today. By 1911 Campbell’s achieves distribution nationally across America. 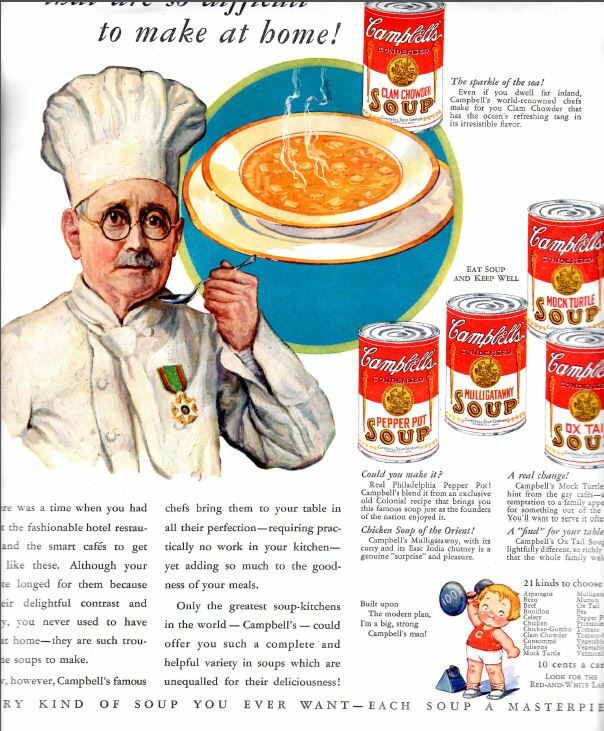 1915 marks the year that Campbell’s soup starts to acquire companies, beginning with the Franco-American food company. Arthur Dorrance, the general manager of the company at the time, hired his nephew John. John Dorrance, a chemist, developed a method to condense the soup by halving the quantity of water in it. Dorrance eventually bought the company from the Campbell family in 1930, after spending 15 years as company president. When William Beverley Murphy became President and CEO, he took the company public and turned it into one of the largest food companies in the world. V8, the leading vegetable juice brand in the world, was bought by Campbell’s in 1948. After going international in Australia and Mexico, Campbell’s acquires Pepperidge farm and Godiva in the 60’s. Today, Campbell Soup Co. owns Franco-American, Pepperidge Farm, Godiva and Swanson Broths. There are many different flavors of soups; condensed, chunky, heart healthy and low sodium. Campbell’s also makes baking meal kits, meatballs and runs a school cafeteria food service. I recently purchased your Campbell’s Pork and Beans. I have been eating them for 50+ years. They tasted terrible. Why have you changed the recipe? My husband and I used to love them but they have no pork or tomatoey taste like they used to. I noted change in them for the past couple of years, but this time they really tasted weird. Please bring back the old recipe! why can’t i find campbell’s condensed cream of tomato soup in the u.s.
Maybe you’re shopping at the wrong stores. I find it all over the place here in California.